Please use this topic to advertise your hotel free of charge. Welcome to Hotel GRAND LEGACY AMRITSAR, the best 3 Star Hotel in Amritsar, just 15 minutes from International Airport and 2 minutes from Railway Station. The Hotel Grand Legacy Amritsar is the perfect choice of savvy business and leisure travelers as well as convention attendees. Hotel Grand Legacy Amritsar offers unique surroundings and decor. Provides a refreshing experience and exceptional service. We offer state of the art meeting facilities deluxe accommodation and award winning dining. A new age first class hotel that is wonderful amalgamation of contemporary elegance and streamlined functionality. A truly International ambience that appeals to your sensibility. You can expect professionalism, quality standard and gracious hospitality that has made the preferred choice of travelers. Hotel Queensland is a well known and well established hotel in Amritsar. The Hotel enjoys the privilege of being near the bus stand and the railway station. The Hotel has professional staff and provides good service to make you comfortable during your stay here. Always provide the best comfort to our guests and to ensure superior comfort and satisfaction. Step into the plush lobby, and we begin to show how much we care. From the warm reception, prompt check-in, the efficient valet service, courteous and always with a smile. Centrally Located amidst the holy city of Amritsar, Hotel Sun City Towers is a highly reputed hotel in the hospitality industry. The hotel is managed by experienced entrepreneurs with a team of qualified and profesisonal personnel who add grace with their dedicated service to our valued guests. The hotel is easily accessible to the visitors due to its central location. Just 50 yards from the Railway Station, 2 Kms. from the Bus Stand, 11 Kms. 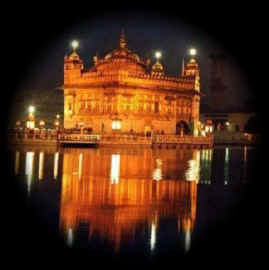 from the Airport, the hotel is a mere 15 minutes away from the Golden Temple. The Hotel provides 24 luxuroiusly decorated rooms with star facilties like colour television with 34 satellite channels, refrigerator, air-conditioner, 24 hours room service, 24 hour hot and cold running water, etc. It gives us great pleasure to introduce our restaurant, the first of it's kind. Located on the fourth floor, while our guests enjoy the multi-cuisine food, they also get an arial view of the holy city. We also have two banquet halls for small and large gatherings. WELCOME TO HOTEL ANAND,A PRESTIGIOUS AND OLD RUNNING HOTEL OPPOSITE TO INTERNATIONAL BUS STAND OF AMRITSAR.THE HOTEL HAS WELL FURNISHED A.C AND NON A.C ROOMS WITH ALL LUXURIES TO SERVE OUR COUSTMERS BEST IN OUR HERITAGE CITY AMRITSAR.IT HAS A MULTI CUISINE RESTRAUNT,A CONFRENCE HALL FOR BUISNESS CLASS.WE HAVE A WELL QUALIFIED STAFF TO WELCOME OUR COUSTMERS 24HOURS.OUR HOTEL IS LOCATED JUST 1KM FROM GOLDEN TEMPLE,2.5KMS FROM RAILWAY STATION AND 12KMS FROM AIRPORT.WE HAVE PICK UP AND DROP FACILITY FOR OUR PREMIUM COUSTMERS ON REQUEST.IT IS THE MOST CENTRELLY LOCATED HOTEL AN AMRITSAR.IT WOULD BE OUR GREAT PLEASURE TO SERVE YOU AS OUR COUSTMER.